Like every other state, Colorado has a series of laws pertaining to personal injury claims and the concept of negligence. Colorado law provides for the ability of a personal injury victim to pursue financial compensation for the damages that he or she sustains. Colorado has a number of specific statutes and case laws that have been borne out of the analysis Colorado courts have performed in order to make decisions on cases involving negligence. These laws pertain to how negligence can be proven in a given case, which damages are awarded, the time limit in which a negligence lawsuit must be filed, and other issues that are specific to certain types of cases. The person injured bears the burden of establishing that the defendant committed the tort of negligence. This requires showing that the defendant fulfilled each of the legal four legal elements of negligence. While the burden of proof in a criminal case is by "proof beyond a reasonable doubt," the standard is much lower in civil cases. The burden of proof in these cases is "by a preponderance of the evidence," which basically means that the jury believes the plaintiff more than the defendant on each of the four elements. An owed duty - The first element is that the defendant owed the victim a duty. This can be a duty to do something, such as to act in a safe manner, or not to do something, such as not to break traffic rules. The duty was violated - The second element is that the defendant violated this duty in some way. The violation caused injury - This violation must have caused the victim to suffer injuries. There must be a proven, direct link between the defendant's actions and the injuries caused. Proven suffering - Finally, the victim must have suffered in some significant manner. If the plaintiff can establish duty, violation of duty, causation, and damages, he or she can establish the right to recover. One of the fundamental issues involved in negligence cases is what duty the defendant owed the victim. In many cases, the parties are complete strangers to each other. In order to determine duty and whether there was a violation of this duty, the jury must usually answer whether a reasonable person of ordinary prudence would have acted in the same manner as the defendant did in the same circumstance. If the party who caused the harm was a child, the jury considers the actions of a child of similar age, intelligence, and experience. Much of a negligence case revolves around assessing whether the defendant's actions were reasonable and whether a reasonably prudent person would have acted differently. In a negligence per se case, the emphasis is on a particular law that the defendant violated. If it is proven that the defendant violated the law, it is presumed that the defendant acted negligently and the victim has a right to recover. The defendant violated a law, statute, or regulation. The statute in question is one that was enacted to prevent the same type of injury as the victim suffered. The victim is one of the class of people who were intended to be protected under the statute. The defendant's violation of the law proximately caused the victim's injuries. An example of the negligence per se application is with a pedestrian injury. Say the statute states that the driver must yield to pedestrians in a crosswalk. The victim is a pedestrian, and the driver failed to yield. As a result, the pedestrian was harmed. The defendant may be required to provide compensation to the victim under the concept of negligence per se. Negligence per se claims cannot be made for every instance that a law has been broken. They are generally predicated on safety statutes such as those concerning building codes, traffic laws, and speed limits. Enjuris tip: If the negligence in your personal injury case is in question, hiring a personal injury attorney can help. Learn more about when you may need an attorney here. Colorado uses a modified comparative fault rule when apportioning fault and adjusting awarded damages. This concept applies to diminish the amount of damages that the victim can receive if he or she is partially to blame for the accident. For example, if a person was distracted at the time he or she was hit by a drunk driver, the court may determine that the plaintiff was 20 percent at fault and reduce his or her damages by 20 percent. If the victim's fault was equal to that of the defendant or exceeded it, he or she will not be eligible for compensation at all. Colorado imposes a number of damage caps that serve to limit the amount of damages that a personal injury victim can receive. For example, a personal injury victim in a medical malpractice case cannot receive more than $300,000 for non-economic damages which consist of pain, suffering, mental anguish, distress and inconvenience. In all, the victim cannot recover more than $1 million. Other damage caps serve to limit the amount of damages in other types of cases involving governmental entities and punitive damages. Enjuris tip: Many see damage caps as beneficial to the overall economy. Read further to learn more about the ultimate effect of inflicted damage caps. Unlike many other states, Colorado does not have a "one-bite" rule that pertains to dog bite injuries. In one-bite states, many times the owner gets away with his or her dog biting someone one time if he or she did not have any prior knowledge to the dog's propensity of violence. 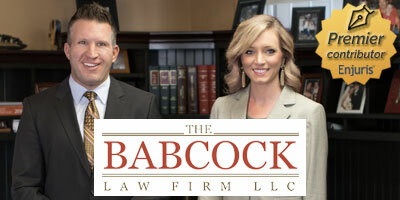 If the victim can establish that he or she is entitled to recover under the dog bite statute, he or she does not have to prove the defendant's negligence. However, there are very specific guidelines under this Colorado law, including that it pertains to claims involving a serious bodily injury and a victim that did not trespass, provoke the dog, or ignore a warning sign. If the statute does not apply, the victim can still pursue a negligence theory. Colorado imposes different duties on landowners. The ability to win a case that involves being injured on someone else's property usually hinges on whether the victim is considered an invitee, licensee, or trespasser. Read more about these labels in our Colorado premises liability guide. Please see our Colorado Personal Injury Guide and also find Colorado covered in our blog.